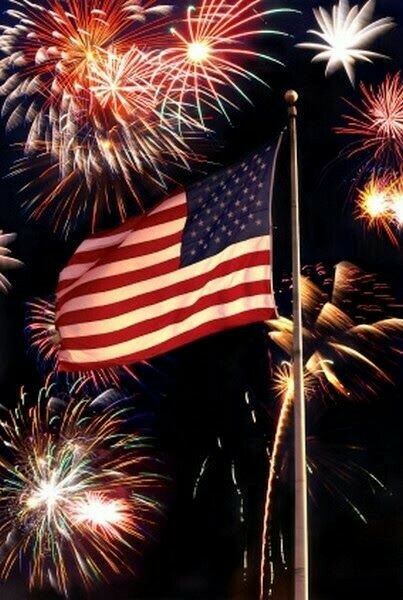 I hope everyone had a safe and happy 4th of July. My sister and I were reminiscing on past 4th of July's. The one that stood out to us is what a firework magnet our Aunt Mary was! It did not matter where she sat or stood, some firework, whether on the ground or in the air seemed to find her. Case in point: One of the adults, probably my dad, put this spinner on the fence and lit it. It was to spin around and shoot off colored fireworks. However, it jumped off the fence and spun on the ground and chased Aunt Mary around! Ahhh the memories. Other memories spring to mind like punks and sparklers, black cats and snakes, and family food gatherings ending with home made ice cream. I've been blessed growing up in a small town. This allowed us to have these fun family outings. I wouldn't trade my small town years for nothing. What is your favorite 4th of July memory.